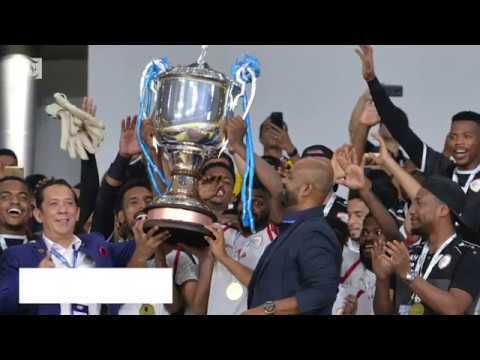 Muscat: New Oman football manager Erwin Koeman has won his first trophy just weeks after taking charge of the national team, after the Sultanate won the first-ever Air Marine Cup in Kuala Lumpur. Oman beat Singapore 5-4 on penalties, after conceding a late equaliser at the very end of second-half stoppage time. Abdul Aziz Al Maqbali scored early for Oman in the 22nd minute to open the scoring, before Zulfahmi Arifin equalised in the 93rd minute of the game. The game went to penalties, and it was the Singaporeans who went first, with Safuwan Baharudin scoring first, only for Oman to level things up straight away. Both teams scored their second and third penalties only for Singapore’s Faris Ramli to see his penalty hit the bar and give Oman the advantage, which they duly took to lead 4-3 in the shootout, ahead of both teams’ final spot kicks. It was Raed Saleh who converted the winning penalty for Oman after Hariss Harun had done the same for Singapore, and it was Oman – who were wearing their white change strip – who would lift the trophy at the end of the tournament, which also contained Afghanistan and hosts Malaysia. Oman had beaten Afghanistan to get to the final, hammering the Central Asian nation 5-0. Oman’s Under-23 men’s team will also face their Afghan counterparts in Qatar, as part of the qualification process for the AFC Under-23 Championship, which is to be held next year. “Our national Olympic team will meet Afghanistan in the second round of the first group of Asian qualifying for the Asian Cup and for the Olympic games,” said the OFA. Oman have been grouped with Afghanistan, Nepal and Qatar, and having already beaten the Nepalese 1-0, a win against Afghanistan could put the Sultanate in pole position ahead of their final game against Qatar. The teams that finish in the top three positions at the under-23 championships will travel alongside hosts Japan at the 2020 Olympics in Tokyo, as the four Asian representatives at the games.